The United Nations Development Assistance Framework (UNDAF) is a programme document between a government and the United Nations Country Team (UNCT) that describes the collective actions and strategies of the United Nations to the achievement of national development. The UNDAF includes outcomes, activities and UN agency responsibilities that are agreed by government. The UNDAF shows where the United Nations can contribute most effectively to the achievement of national development priorities. UNDAF's typically run for three years and include reviews at different points. The UNDAF is the strategic programme framework that describes the collective response of the UN system to national development priorities. 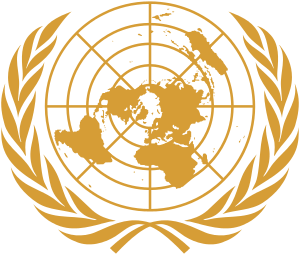 The General Assembly, in the 2007 Triennial Comprehensive Policy Review of operational activities for development of the United Nations system (TCPR), encourages the UN development system to intensify its collaboration at the country and regional levels towards strengthening national capacities, in support of national development priorities, through the common country assessment, when required, and the UN Development Assistance Framework (UNDAF). Wikimedia Commons has media related to United Nations Development Assistance Framework. This article is issued from Wikipedia - version of the 3/1/2016. The text is available under the Creative Commons Attribution/Share Alike but additional terms may apply for the media files.